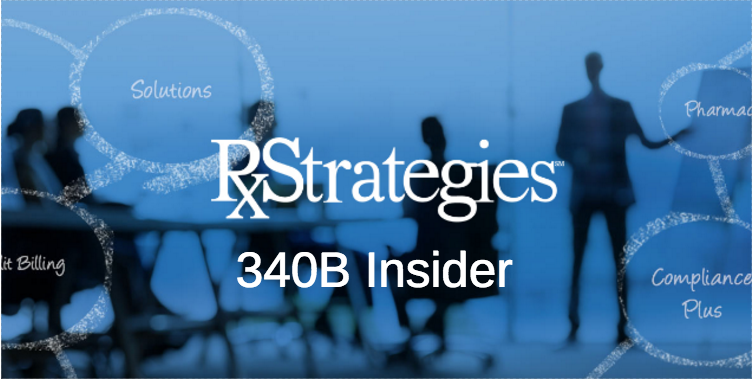 340B Insider – November 2018 – RxStrategies, Inc. Welcome to the November 2018 edition of RxStrategies’ 340B Insider, a concise communication to provide a quick highlight of updates from RxStrategies’ view. Medicare cuts of nearly 30 percent to certain 340B hospitals will continue into 2019, and the number of hospital sites affected will increase, under a final government rule issued Nov. 2 by the Centers for Medicare & Medicaid Services (CMS). 340B Health and our members joined with other hospital groups to oppose these policies. CMS finalized its plans to continue reducing payment to certain 340B hospitals for separately payable Part B drugs. Beginning Jan. 1, 2019, the agency also will expand the scope of those cuts to include non-excepted off-campus hospital outpatient departments (HOPDs), also known as “site-neutral” clinics. Critical access hospitals, sole community hospitals, children’s hospitals, and cancer hospitals will continue to be exempt from the Medicare pay cuts. 340B Health would like to hear how the continued Medicare cuts are affecting your ability to care for low-income patients and the rest of your communities. Contact 340B Health Director of Communications David Glendinning to share your stories. A formal requirement for each participating 340B program hospital to disclose how any/all 340B savings are being reinvested into local communities. Covered Entities (CEs) should be working to document and summarize in their own form now, in advance of formal questions an/or requirements. Continued push from various states to formally require the inclusion of a “20” marker and submission on any MCO claims processed through 340B program. RxS’s real-time Contract Pharmacy processing solution can be helpful in this regard. As a 340B Health Corporate Partner, we are focused to assist CEs in their advocacy efforts to protect and preserve the 340B program. RxStrategies recommends continued proactive CE involvement in the 340B support process. Our 340B program experts are actively working with 340B Health to ensure Impact Profile and certain other CE templates are made available to our clients. How to complete 340B Health Impact Profiles and share your 340B stories. Discuss how RxS can support your advocacy efforts. Read a recent article published in Pharmacy Today, Patients Feel the Pinch from 340B Program Cuts that highlights the real-life battle over the 340B program and the consequences on patient care. 340B Health previously reported that CMS had announced its plans to test an IPI Model for Medicare Part B drugs through an advanced notice of proposed rulemaking (ANPRM), a preliminary phase of the rulemaking process. Before moving forward, CMS would need to issue a proposed rule to formally propose testing the model, which CMS plans to do in the spring of 2019. After soliciting feedback on that proposed rule, CMS would need to issue a final rule before implementing the model. Download 340B Health’s detailed summary of the IPI Model, implications for 340B hospitals and information on how your hospital can submit comments on the ANPRM. Consult 340B Health’s IPI Model Resource Center for additional information on the model. “To say it has been a challenging two years for providers participating in the 340B drug discount program would be an understatement. This once-obscure federal program, which was enacted by Congress on an almost unanimous vote 26 years ago, has become one of the pharmaceutical industry’s biggest targets in our nation’s capital,” stated Ted Slafsky, MPP, founder/principal of Wexford Solutions and the former president and CEO of 340B Health. 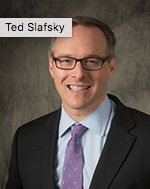 Read his insights in the complete article, Why Recent Election Results Matter to 340B Hospitals, published on Healthcare Financial Management Association’s (HFMA) blog.